The conventional model to having great success in your career is setting and ardently pursuing big, hairy, audacious goals (BHAGs), even if you have no idea how you’re going to achieve them when you start. Want to build a billion dollar company? Set the goal and work backwards from long-term goals to medium-term goals to short-term goals to today’s to-do list. Then take action, measure your progress along the way, and constantly course correct so you’re always on the most direct path (that you’re aware of) toward your ultimate goal. Want to cure cancer? Set the goal and work backwards. Measure your progress. Want to find the love of your life or be happy? Set the goal. Rinse and repeat. This goals model is so obvious in our culture, it goes without saying. It’s central to our collective success recipe. Goals give motivation, meaning, and focus when we feel lazy or distracted — at least so we’re told. However, recent research from the field of artificial intelligence is putting a nail in the coffin of this paradigm — making the case that goals are often OBSTACLES to LARGE feats of innovation rather than enablers. In the book Why Greatness Cannot Be Planned, researchers Kenneth Stanley and Joel Lehman, founding members of Uber AI Labs, compellingly present research for a new model of success and innovation with curiosity at its center. This breakthrough is important, because the better our mental model of success is, the more likely we are to achieve it. Collecting the most valuable mental models in the world is a key strategy of world-class entrepreneurs and leaders. I have now read the book three times, and it’s had a profound impact on how I view the world. I’ve felt tension between my own internal curiosity and my goals throughout my entire professional life, and the book helped to resolve it (more on this in a minute). Out of the 1,000+ books I have read, I consider this one to be in the top 10. Nobel Laureates have significantly more and deeper interests than average scientists. Whereas average scientists view their hobbies as having nothing to do with their work, Nobel laureates don’t look at their hobbies as hobbies. They look at them as fundamental parts of their creative process. A camping trip isn’t just a camping trip. It’s an opportunity to get perspective on their work while looking at the stars. Art isn’t just art. It’s an opportunity to hone their visualization skills and therefore think better. Just as every moment, personal or professional, is potential material for a comedian, so too is every moment potential fodder for a Nobel laureate. Everything we learn or experience is fodder. When we look back at many of the most creative people in history, including Nobel laureates, they seem to operate in a completely different way. They pursue curiosities, sometimes purposely not thinking of immediate applications. They embrace serendipity. At certain points in their career, they were even considered aimless or seen as lazy underperformers as I wrote in How To Rapidly Double Your Brain Power With The Einstein Technique. Under Eric Schmidt’s leadership as CEO, Google grew from a few hundred employees to over 32,000. After years of experimentation, he found that two qualities mattered more than anything else: persistence and curiosity. Elon Musk famously spent hours a day during his childhood exploring his curiosity by reading books across physics, programming, philosophy, spirituality, and science fiction. 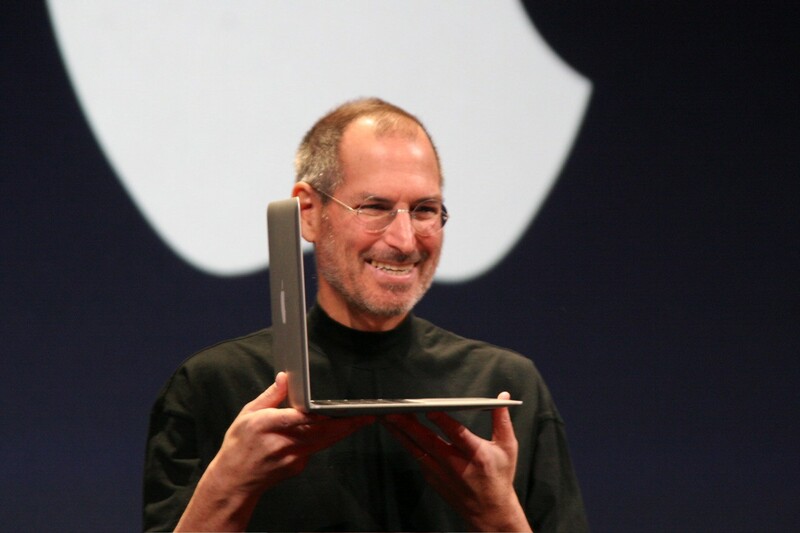 Many of Apple’s greatest innovations directly come from Steve Jobs’ meandering curiosity. Learning calligraphy helped Apple pioneer typefaces on the first personal computers. Jobs’ love of music enabled him to spot the opportunity to launch the world’s first truly successful MP3 player. Self-made billionaire Charlie Munger and Warren Buffett’s right-hand person has collected the most valuable mental models across the biggest disciplines for his entire career. Interestingly, many of the same iconic leaders, scientists, and entrepreneurs who are modern polymaths and who follow the 5-Hour Rule (spending at least five hours per week on deliberate learning) are also extremely curious. It is NOT. And, I’ll explain why in this article. Since I can remember, I’ve been a deeply curious person. I love reading across disciplines. I love meeting interesting people. I love peppering everyone I meet with questions. I love understanding things at a deeper level that may not have an immediate and obvious connection to my goals. The tension is that my curiosities are rarely on the direct path to my goals, making pursuing them hard to justify. Therefore, I’ve often relegated my curiosities to the hobby zone. Telling my team that I was going to read a book on evolution or network science felt like I was letting them down, even if those have paid huge dividends for my business over the long term. Earlier in my career, I hid my curiosities from my bio and resume, because they didn’t give a clear story of someone who was ambitious and focused. One of the best examples of how goals can lead to myopia is a famous study conducted by UK researcher Richard Wiseman. In this study, Wiseman gave people who considered themselves lucky and unlucky a newspaper and then asked them to look through it and count the number of photos inside. Once again, the unlucky people missed the message. They were too busy counting. And so it is with luck — unlucky people miss chance opportunities because they are too focused on looking for something else. They go to parties intent on finding their perfect partner and so miss opportunities to make good friends. They look through newspapers determined to find certain types of job advertisements and as a result miss other types of jobs. Lucky people are more relaxed and open, and therefore see what is there rather than just what they are looking for. The goal paradox is that the people who most fixedly pursue a goal might also be the worst at recognizing opportunities along the journey. We’ve all had this experience of going after empty goals. We think a goal is going to change everything, so we sacrifice our health or our close relationships (or both) for it. Then, in the end, we realize that what we sacrificed may have been more important than the goal itself. In my twenties, I had a goal to build a business with over $1 million in revenue. Our team referred to it as the two commas goal. When we achieved it, nothing really changed, and I wondered why we had put so much energy to achieving this goal as rapidly as we could. When we look at some of the world’s top performers, one is left to wonder about the sacrifices they made. For example, consider Michael Phelps and Tiger Woods — two of the best athletes in history. They followed the goal playbook to a tee (no pun intended). They started super young, accumulated tens of thousands of hours of deliberate practice, were single-minded, and actually achieved their most ambitious goals. Yet, they were left feeling empty. Tiger Woods repeatedly ignored signals that parts of his body were failing him. He prided himself on playing through pain. He will now have to live in significant pain for the rest of his life. And his rampant cheating on his wife and lying about it ruined his marriage. In the biography on him, which I recommend, we see how being so single-minded didn’t leave space for Tiger to do deeper work on himself or build deep relationships with those closest to him. Yet, when we set a goal, we often unconsciously make the assumption that we won’t change significantly and neither will the world. Neither is true. If we set a 10-year goal to go down a certain path, the person we are in five years may actually feel trapped by it. There is such a large sunk cost of time, money, and energy. We have publicly committed to it. Many of the people we have built relationships with still value the goal. As a result, it’s hard to give up. Furthermore, we will be confronted with new opportunities in the future we can’t even imagine now. Naturally, we underestimate how long it will take us to achieve the goal, because it is a big goal and likely something we haven’t done before. This is known as the Planning Fallacy. And, even when we are aware of the Planning Fallacy, it still takes way longer than expected. This is known as Hofstadter’s Law. As a result of the Planning Fallacy and Hofstadter’s Law, we are almost always behind where we thought we should be, which then makes us feel insecure. When I set the million dollar revenue goal, I framed the goal, and hung it in the closet so I could see it every morning when I got dressed. Year after year, I full heartedly pursued the goal. The more I missed it, the more I felt insecure, like I was doing something wrong. When it relates to learning, several studies have shown that setting performance goals can backfire. For example, when someone sets a goal to get an A in school, they may end up studying for the test rather than studying to learn. As a result, performance goals can hurt learning goals. Going from zero to one. As the saying goes, “Half of the journey is beginning it.” When you have a big goal that may take months or years of hard work and going outside of your comfort zone, taking the first can feel intimidating. The OK (good enough) plateau. When we get OK in any discipline, it is very easy to just coast. For example, when was the last time you tried to deliberately improve at driving or typing? The dip (aka — the long middle). After the initial excitement wears off, and you can’t see the light at the end of the tunnel, it’s easy to give up. Many of these downsides can be fixed with better goal setting. But over time, I’ve come to believe that the problem with goals runs deeper. Many of these downsides are inherent to the goal-setting model itself. Enter the “other” success model that many of the most famous innovators in history have followed, but that few people are even aware of. Next, I’m going to introduce the essence of this model and then give you a very simple hack you can do to start getting results from curiosity right away. If you want to deep dive on the stepping stone model, the research behind it, and how to integrate it into your life, you can access the 20,000-word Manual I created for $1 by joining our Mental Model Of The Month Club. In the club, we delve into a new mental model like this one every month that will help you make better decisions, learn faster, and have creative breakthroughs. New research and simulations coming from the field of artificial intelligence are painting a completely different picture of success. Surprisingly, researchers Kenneth Stanley and Joel Lehman are finding that the algorithms most effective at solving the kind of big, hard problems that we see in the real world are NOT the ones based on setting a goal, measuring progress, and then checking each milestone off as they complete it. The goal model is effective when the steps between where you are now and where you want to go are clear. For example, it still makes sense to set goals like losing 10 pounds, getting 8 hours of sleep per night, spending more time with your family, or hitting quarterly business targets. However, when the steps between where you are now and where you want to go are numerous and unclear, the researchers have found that a different model works better. In other words, goals are good for exploiting what you already know. The Stepping Stone model, which I’ll explain next, is good for exploring what you don’t. [Ambitious] objectives actually become obstacles towards more exciting achievements, like those involving discovery, creativity, invention, or innovation — or even achieving true happiness. In other words (and here is the paradox), the greatest achievements become less likely when they are made objectives. Not only that, but this paradox leads to a very strange conclusion — if the paradox is really true then the best way to achieve greatness, the truest path to “blue sky” discovery or to fulfill boundless ambition, is to have no objective at all. “Wow!? What did I just read? !” That was the first thought that went through my head when I saw this passage. I felt like a religious devotee who had spent my whole life doing everything by the book in hopes of going to heaven, only to have a rude awakening. Not only did the religious practices not work, but I was going straight to hell. Stanley and Lehman make big claims, and big claims need big evidence. So, let’s unpack their studies and conclusions at a deeper level. So, if goals aren’t the best model for ambitious creative feats, what is? Stanley and Lehman describe this new model as the stepping stone model. To accomplish something big, you do NOT set ambitious goals and then work backwards. Rather, you follow the stepping stones immediately in front of you that give you the most novel paths forward, even if you aren’t sure exactly how that stepping stone will pay off in the future. Then, from that new stepping stone, you look for the the most novel path forward again. And so on, jumping from one novel stepping stone to another. If you just follow the most novel path, won’t you just aimlessly jump from one thing to another without making any real progress? If you just follow the most novel path, won’t you become an aimless wanderer? When you’re a beginner at something, you can get novelty easily via simple trial & error. For examples, let’s say you’ve never read a book on habits before. As a result, it’s likely that the first book you read on it is going to be mind-blowing even if it is mediocre. As you become more expert on habits though, novelty becomes harder to find. Trial and error is no longer enough. You need to change how you think. You need a more complex model. For example, after you’ve read 10 books on habits, rather than picking up an 11th book on habit change, you may need to search in another discipline you know nothing about and then see if it provides creative ideas you can apply back to habits. Put more succinctly: as you pursue novelty, it gets harder and harder to find. This difficulty forces you to adopt new and more complex ways of thinking in order to find novelty. This more complex thinking leads to breakthroughs. The important point is that novelty (and interestingness) can compound over time by continually making new things possible. So instead of seeking a final objective, by looking for novelty the reward is an endless chain of stepping stones branching out into the future as novelty leads to further novelty. Rather than thinking of the future as a destination, it becomes a road, a path of undefined potential. We often take it for granted, but humans have an almost magical ability to detect interestingness. We don’t need logic and analysis to detect that something is fascinating to us. We can almost immediately find it without even knowing why. Often we feel the urge to explore a particular path or idea despite being unsure where it might lead. Our intuitions and hunches often prod us in directions that might not be justified objectively but still lead to something different or interesting. So it’s no coincidence that the concept of interestingness comes up naturally when discussing novelty. When an idea feels genuinely novel, that’s often enough to make us curious. The idea interests us even if its ultimate purpose is unclear… We understand that if we take the interesting path, it may yet lead somewhere important, even though we might not know where. To be motivated, we do NOT need huge goals. Curiosity is an innate and incredibly powerful drive. And, it can be cultivated. One of my favorite examples of our innate curiosity is this four-hour time-lapse video (compressed into 2 minutes) of a baby playing with toys. Think about how amazing this video is. Staying focused for four hours is hard for anyone to do, but this baby is able to do it naturally without even trying. This is how babies go from zero knowledge of the world to incredible amounts of learning — simply by following their curiosity. If you want to accomplish huge creative feats, embrace your inner curiosity. Goal setting is powerful, but best used for short-term goals where the path between where you are and where you want to be is clear. The less obvious and more important question, though is, how? How do we embrace the serendipity of curiosity while handling the predictability of our bills? How do we productively channel our curiosity? In other words, how do we avoid neomania — getting constantly distracted by the latest tech gadgets, the newest articles, the newest social media posts, and the newest books — for no other reason than they trigger our innate curiosity? For me the answer to these questions comes down to what I call the curiosity filter. Many of us, especially the most ambitious, have a goal filter that we take through life. When we come across books, people, and opportunities, we ask ourselves whether it will help us accomplish our goals. Am I so fascinated by this that I’d be willing to spend serious effort learning more? If the answer is NOT hell yeah, then let it go. If it is a hell yeah, then make time for it within your schedule with the 5-Hour Rule. Use the level of your fascination as a compass. How much you’re willing to sacrifice your time for a fascination is a good proxy for how fascinated you actually are. This proxy helps protect against shallow curiosity where you’re pulled in by clickbait titles, notifications, and subject lines that feel interesting in the moment, but don’t actually matter. Having a high bar for fascination prevents information overwhelm. The more you get in touch with your innate curiosity, the more and deeper curiosities you will have. The “hell yeah” filter prevents you going int too many directions at once. 4)You will enjoy your life way more! Ironically, the fact that I’m even writing this article is an example of the power of the stepping stone model. I started writing seriously in 2013 when I became a contributor to Forbes. I was running my old business full-time and feeling burned out. So I decided to use the writing opportunity to explore my curiosity — to give myself permission to do something that wasn’t connected to an immediate outcome. In other words, I used the curiosity filter. For each article I wrote, I read 3–4 books and spent 80 hours. From a typical productivity perspective, my approach made no sense. From a curiosity filter perspective, I very rapidly went from burned out to on fire. That curiosity took me on a meandering path from articles on work-life balance, to articles on relationship building, to learning how to learn — all topics not at all related to our business at the time. It made no economic sense. But, it made sense to my soul. It made sense in the stepping stone model. And now, in retrospect, it makes sense in the goal model — because now, I am writing and teaching full-time about learning how to learn. The only way that I could write this article is by having written the previous ones. The only reason why the book Why Greatness Cannot Be Planned resonated so deeply with me is because I had been unconsciously following the stepping stone model. Contributed to Time, Fortune, Forbes, Inc., Entrepreneur, and the Harvard Business Review. I have earned more money than I ever have. My writing has been read tens of millions of times. Built a 200,000+ person email list. And none of this was planned when I started writing for Forbes. In my research of reading 1,000+ books, interviewing 100+ millionaire entrepreneurs / academic researchers, and studying the code for modern success, I’ve discovered one common element, and it’s something that almost no one is learning about right now. Yet, it increases the power of your ability to learn, think, make decisions, and create success by a factor of 10x. The tool is called a mental model. Self-made billionaire Charlie Munger says it is the key to success. Over the last year, we’ve been building a private community of close to 1,000 people who are using this tool. Every month, we condense the most valuable knowledge in the world into a toolkit you can use to create more wealth, success, and happiness. The stepping stone model is just one of many mental models we cover. We call it the Mental Model Club. You can join. And you can come try it out for $1. Summaries of of the top books and studies on the stepping stone model, so that you can get the best ideas fast. Case studies of how top performers have used the model to achieve exceptional results, so that you can copy what already works. Exercises based on the ideas, so that you can apply your curiosity across every single area of your life.